With the rise of the internet and Smartphone has brought a huge change in our eating habits .As the lifestyle has changed and so also has our cuisine habits, even if we are in utter shortage of time but still we can have best of the assorted range of food at our finger tips delivered at our door step thereby totally avoiding the traffic commotion and the long queues. The online food and home delivery has crossed Rs-1000/- crores and is expected to grow by 40% because of the wide range of eateries and the increase in the purchasing capacity of the customers not only in metro cities but also ‘B’ grade towns too . There is a change in trends as some restaurants are coming up without any sitting spaces but engage only in booking order for cash and carry or free home delivery . 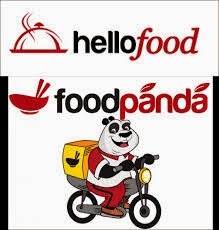 There are web sites of big food chains who take order of multiple restaurants and offer you discounts too like www.foodpanda.in. Than there are some apps like zomato who give you information of the restaurants in the vicinity and you can review the menu to give the order, yes and a major chunk of revenue of McDonalds and Dominos comes from the home delivery and same is the case with the other restaurants which have big names are following this new trend and are clocking 65%, moreover 75% is the growth rate of the food chain restaurants, and 80% of the restaurants in the metro cities are offering the free home delivery. The websites have a dual benefits as they not only provide services but also get earning through ads and innumerable hits and the websites have grown by more than 30% .The customers are happy as they save on both the money and the time plus they have the choice to choose food as well as the place of delivery and a whooping 30,000 clients hit the foodpanda website. This revolutionary growth in online business industry is due to the fact that it has eaten into the market share of traditional restaurants and highway restaurants and school – college food joints, and also the online food industry has hit badly the grocery market and ready to cook food or ready to eat food products are no more in vogue . But alls not that glossy until the local cuisine like roti-dal-chaval,or idlee- dosa-samber are available online at the same price as in home. The unusual rise in online food industry is solely due to the chine and Italian food which customers order for the sake of change .There will be a phenomenal growth as and when they are able to market the Indian staple food.